PART EXCHANGE CONSIDERED. 68 Castle Hill, Nether Stowey, is a substantial four bedroom detached residence in an outstanding rural location, built to a HIGH END CONTEMPORARY FINISH. This property comprises; entrance hall with stairs to the first floor, spacious kitchen/diner which benefits from bi-folding doors onto the SOUTH FACING rear garden and access to a utility room, ground floor WC and large reception room to the ground floor. There is a further room down just a few stairs on a slightly lower level with access to a smaller room which, although isn't finished as a kitchen, has all of the plumbing in place should someone wish to convert this space into separate living for a relative. This second reception room has its own door from the front and doors onto the garden. To the first floor are the four bedrooms, including master en suite with dressing area and the main bathroom. There are two parking spaces for the property which can be accessed from the road over what is an attractive block paved driveway. Benefits to this family home include gas central heating and a striking multi fuel burner positioned between the kitchen area and main reception room, which is a real feature of this immaculate and spacious property. There is under floor heating to the ground floor with touch pad controls to independently control the temperature of each room, glass and wooden balustrading and high end UPVC windows and doors with matching aluminium bi-fold doors. Laid to a split level patio area with steps to the lawn the rear garden is south facing and private to the rear with a tree lined boundary. The garden can be accessed via both reception rooms and the kitchen/diner, as well as from the front via gated access. Located in the picturesque village of Nether Stowey, there is easy access to Bridgwater, Taunton and the Quantock Hills, which was the first place to be designated an Area of Outstanding Natural Beauty. Nether Stowey has a range of amenities including a general store, post office, doctor's surgery, church, library, primary school, village hall, public house(s) and in near by Over Stowey you'll find a leisure centre with gym and swimming pool. 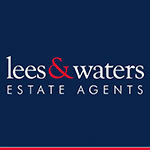 Lees & Waters, their clients and any joint agents state that these details are for general guidance only and accuracy cannot be guaranteed. They do not constitute any part of any contract. All measurements are approximate and floor plans are to give a general indication only and are not measured accurate drawings. No guarantees are given with regard to planning permission or fitness for purpose. No apparatus, equipment, fixture or fitting has been tested. Items shown in photographs are not necessarily included. Purchasers must satisfy themselves on all matters by inspection or otherwise. VIEWINGS - interested parties are advised to check availability and current situation prior to travelling to see any property. If the property is leasehold full details and terms of the lease should be sought via your legal representative. Please also note that some or all of the photographs used to market this property may have been taken with a wide angle lens, solely for the purpose of showing the property to its best advantage. Intending purchasers will be asked to produce identification and proof of financial status when an offer is received. We would ask for your co-operation in order that there will be no delay in agreeing the sale. There are two allocated parking spaces to the front of the property with easy access to the both the main door and second reception room, ideal if this area is being used as separate accommodation.